Home Australia Get Ready for Melbourne’s Week-Long Beer Extravaganza! Get Ready for Melbourne’s Week-Long Beer Extravaganza! Australia’s annual week-long big, beautiful beer bash is nearly upon us! Melbourne Good Beer Week will be taking over the Victorian capital from May 11th – 20th, with a program chock-full of beer-centric events. There will be tap takeovers, exhibitions of international and local brews, parties and tastings galore. Interested in experimenting with brewing for your bar? Attend Brewniversity with the team at Stomping Ground Brewing to learn the tricks of the trade. Become the beer aficionado for your customers by discovering how best to match tequila or spirits with beer as well as how to taste barrel aged brews. 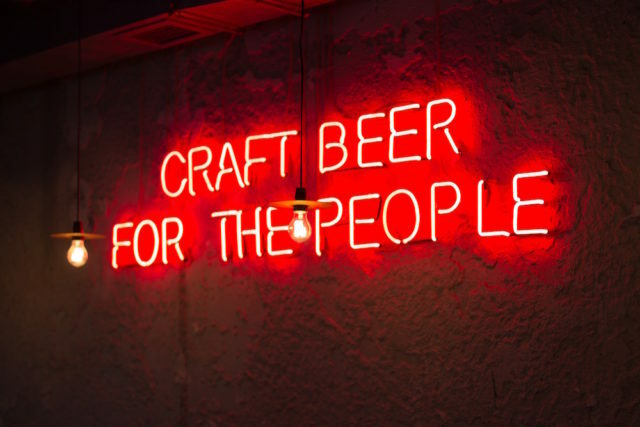 Other activities include micro beerfests, showcasing some of Australia’s smaller scale breweries, sessions exploring the use of beers in cocktail making and ‘Brews to Booze’, an exhibition of how beer can be turned into distilled spirits. On top of this, Cryer Malt will be presenting the Cryer Malt Trade Hub at Beer DeLuxe Federation Square, a space for trade to meet and discuss best practice and new trends in their industry. The week will also see the Australian International Beer Awards Presentation as well as the annual GABS festival, which will see 170 brewers and cidermakers from across Australia and New Zealand showcase a limited edition festival release brew. To learn more about the range of activities and purchase tickets, head on over to the Melbourne Good Beer Week website. Next articleTop 50 Finalists and New Best Wine Venue Award for YGOW Announced!